It isn’t a vacation without a souvenir…and the Why Not Shop is Snowshoe Mountain’s largest gift shop! We carry everything from t-shirts to fine jewelry. 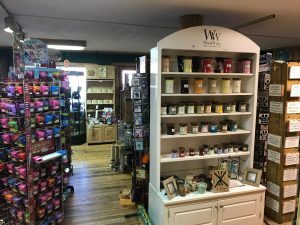 From name brand candles to WV made pottery, we have that unique gift to take home with you. Looking for some after ski boots? Check out our selection of men’s, women’s, and children’s UGG, Sorel, Columbia, or Minnetonka fashion. Forget your swimwear for the hot tub? We have an assortment of colors and styles. 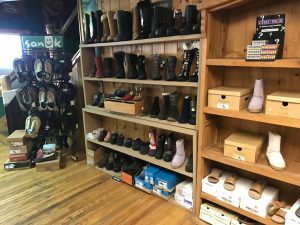 Whatever you may need, you will find it at the Why Not Shop. Are you a Snowshoe Homeowner? For your decoration needs, visit our furniture selection located upstairs. Don’t see what you want? No problem…we can order it for you and deliver it to your condo when it arrives.